I mean, how cute is all that?! Don’t even think about nabbing any of these items… after all, my name’s on it. 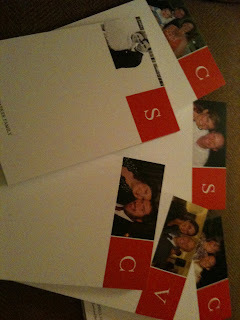 A customized notepad created on Shutterfly (coupled with a Nells candle holder and Emi-Jay hair tie of course). Yay! PPSS: On the NY resolution list: learn to rotate pics before loading...please forgive.